Heart-wrenching and real, Juvie tells the story of two sisters grappling with accountability, sacrifice – and who will be there to help you after you take the fall. An unflinchingly honest, and ultimately hopeful, view of life in juvenile detention. 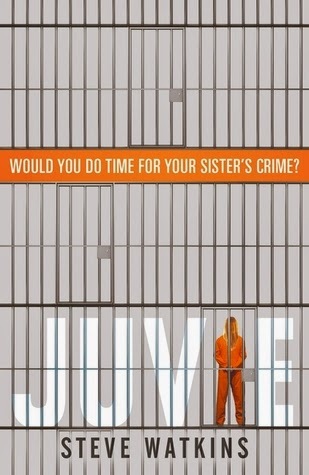 Heart-wrenching and real, Juvie offers an unflinching and poignant view of life in juvenile detention, and will appeal to fans of TV shows like Orange Is the New Black. Sadie Windas has always been the responsible one – she's the star player on her basketball team, she gets good grades, she dates a cute soccer player and she tries to help out at home. Not like her older sister, Carla, who leaves her three-year-old daughter, Lulu, with Aunt Sadie while she parties and gets high. But when both sisters are caught up in a drug deal – wrong place, wrong time – it falls to Sadie to confess to a crime she didn’t commit to keep Carla out of jail and Lulu out of foster care. Sadie is supposed to get off with a slap on the wrist, but somehow, impossibly, gets sentenced to six months in juvie. As life as Sadie knew it disappears beyond the stark bars of her cell, her anger – at her ex-boyfriend, at Carla and at herself – fills the empty space left behind. Can Sadie forgive Carla for getting her mixed up in this mess? Can Carla straighten herself out to make a better life for Lulu and for all of them? Can Sadie survive her time in juvie with her spirit intact? However for me I wanted so much more. I felt very much like it was cut short and I was left with loads of questions about how things would turn out for the main character long term. I also wanted more from the other characters especially the sister who was being protected to see the impact having someone take the blame for her had and whether it was worth it.